Home » Regional Cinema » After Aamir Khan's Dangal and Salman Khan's Bajrangi Bhaijaan, Baahubali 2 to release in China, release date announced! Looks like China is turning out to be the new hottest market for the Indian films. 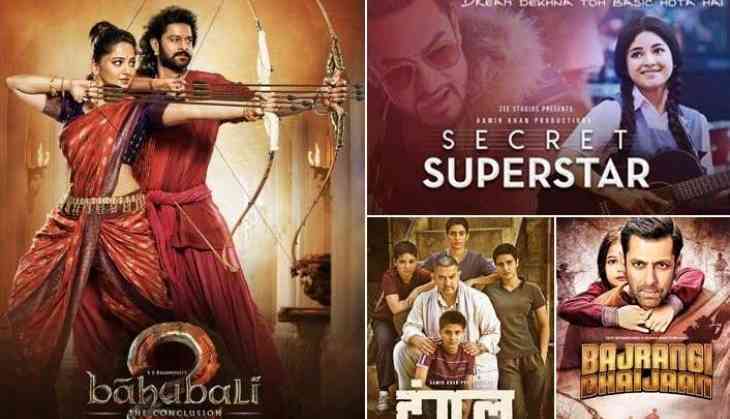 From Aamir Khan films Dangal, PK and Secret Superstar to Salman Khan's Bajrangi Bhaijaan and Irfan Khan's Hindi Medium, most of the Indian films released in China turned out to be huge money spinners. And now, none other than the all-time Indian blockbuster Baahubali : The Conclusion is slated to hit the screens of China. It has been now confirmed that the SS Rajamouli, Prabhas, Anushka Shetty blockbuster will have it's China theatrical release on May 4. With the China release, Baahubali 2 will be looking to cross the Rs. 2000 crore mark worldwide and to unseat the worldwide all time blockbuster Dangal as well. Baahubali 2 also featured an ensmble cast including Rana Daggubati, Sathyaraj, Ramya Krishnan and Nassar.